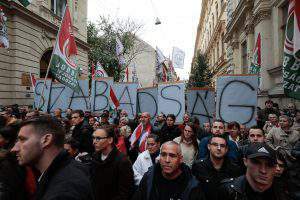 Budapest, November 17 (MTI) – VSZSZ, the trade union of metal-workers, held a demonstration in front of Parliament on Monday afternoon to protest against plans to raise the tax on fringe benefits. Federation head Bela Balogh told MTI after the event that the demonstration had been attended by some 1,500-2,000 people, for whom increasing the tax on ‘cafeteria’ benefits would be a huge burden. He argued that for many the benefit vouchers meant daily bread. 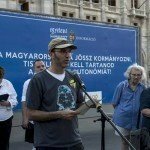 Simultaneously with the demonstration, ruling Fidesz group leader Antal Rogan held a press conference and said that the fringe benefit tax would not be raised next year. 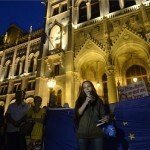 Thousands gathered in front of Parliament today evening to protest against corruption and the government’s policies. 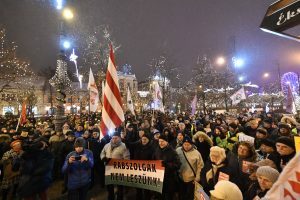 Speakers at the protest urged unity and construction of a new political system in which “tricksters are punished rather than the poor”, a new regime in which “nobody is left by the road”. 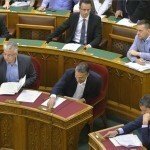 Addressing the huge crowd, whistleblower Andras Horvath, a former tax authority official, demanded resolute action against corruption. “We have come to bury not a government but a regime,” another speaker said. 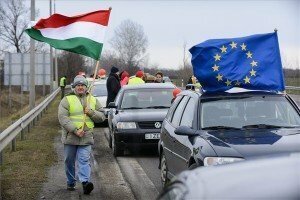 Participants chanted slogans including “Orban out!”, “Europe”, “Democracy” and “Regime change”, and held up similar signs. 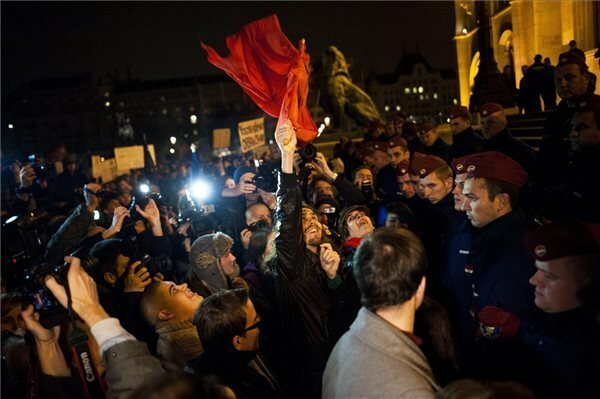 After the speeches, some of the crowd dismantled the iron fence separating Parliament from the square, and proceeded to the police line. At around 8pm riot police arrived in the square and called on the crowd to disperse. 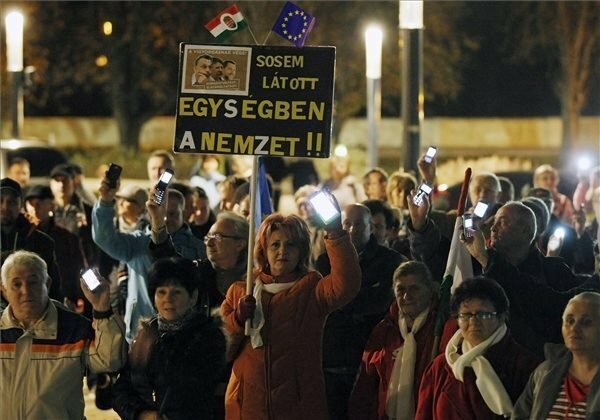 Similar demonstrations were held in other cities both in Hungary and in other countries simultaneously with the protest in Budapest.